2017 NJ Fall RV Show! 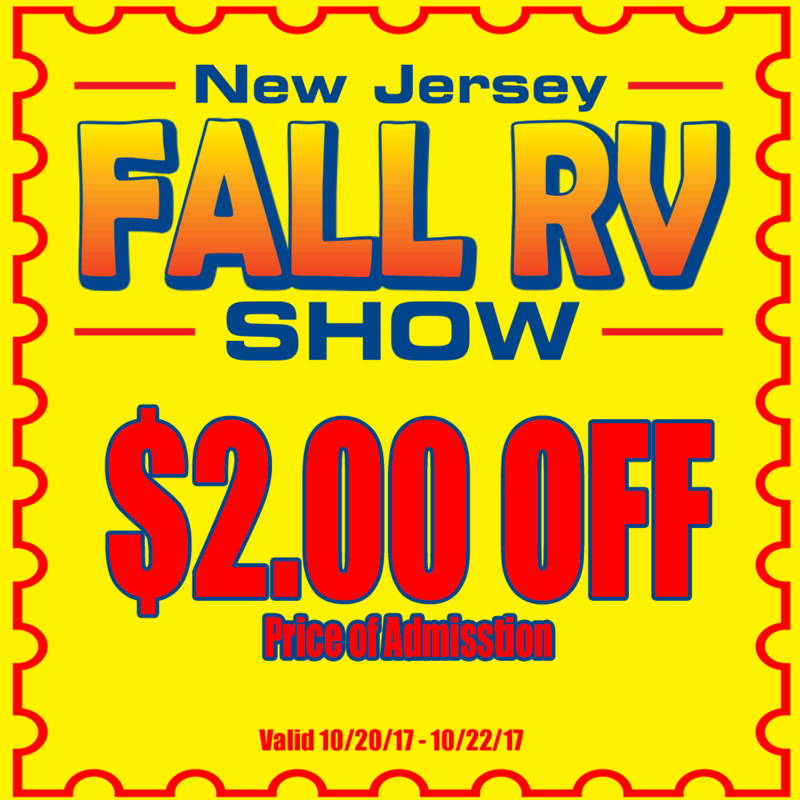 The Second Annual New Jersey Fall RV Show! printable version to bring to the show! and was held at the Wildwoods Convention Center. Based on customer feedback, the move was a complete success! from New Jersey's biggest and best RV dealers. why not make a weekend of it! The Lotus Inn is located just minutes from the Wildwoods Convention Center, and is offering discounted rates the weekend of the show. For more information, please call 609-522-6300, or visit the Lotus Inn website. and have a fun weekend enjoying Wildwood. or contact Joann DelVescio, Executive Director, New Jersey Campground Owners Association by phone at 609-545-0145, email: njcoa@campnj.com for more information. Crossroads Trailers, Driftwood RV Center, Dylans RV, Scott Motorcoach, and White Horse RV Center!